You are here: Home / Energy Foods / Gluten-free Diet: Truth Behind the Trend? 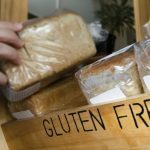 On September 20, 2018, Global News did a news story called ‘The gluten-free diet: the truth behind the trend’. The story was meant to debunk the myths of a gluten-free diet. The problem with this story is the journalist did not dig deep enough into the real science behind gluten intolerance or what a gluten-free diet really is. The readers and viewers were fed some inaccurate information. The truth is that gluten really isn’t healthy for anybody and can extend beyond gut symptoms and celiac disease. I understand some of the motivation and skepticism behind the story. In a previous article I wrote, ‘Is Gluten Free a Fad?’, I discuss how food corporations are capitalizing on gluten free branding for profit. It’s easy to think that “gluten free” is a trend. I also agree with the journalist that gluten free PACKAGED products are not necessarily healthy for you. However, they are more healthy for you than packaged foods containing wheat/gluten. More on this later. The gluten protein is more complex than the journalist stated. Gluten is a mixture of several proteins (not two as she said) in cereal grains, especially wheat, that gives the chewy or elastic texture in dough. Gluten is found in numerous foods such as breads, cereals, crackers, some cold cuts and sausage, sauces, syrups, and even some ice creams. A gluten-free diet means you are eating foods without any gluten in it period. So that means you could be eating a whole food nutrient dense diet with meat, seafood, poultry, dairy, eggs, fruits, vegetables, nuts, and seeds. Maybe you have some legumes as well. This would be defined as a gluten-free diet. It could also mean you are eating these healthy foods and eating some not so healthy processed packaged foods that are gluten free. This includes the Glutino cookies that were mentioned by the journalist or the Udi’s brand of food products. The journalist mislead the public, whether it was on purpose or not, to believe that a gluten-free diet, as a whole, meant eating these packaged gluten free foods rather than packaged gluten containing foods. One in two patients diagnosed with celiac disease don’t even have gut symptoms. Furthermore, for every new case of celiac disease diagnosed there are 6.4 cases that are undiagnosed. Why is there such a wide variance in how many people have celiac disease and non-celiac gluten sensitivity? First, as pointed previously, many celiac patients don’t even have gut symptoms. So there are many symptoms associated with celiac disease and non-celiac gluten sensitivity other than gut problems. This becomes a challenge when trying to diagnose these two diseases. For example, say a person has chronic joint pain and fatigue and no perceived gut symptoms. And say, the cause of this is celiac disease or non-celiac gluten sensitivity. They are living like this for years and no one in the conventional medical system can figure out a diagnosis for them. Why? Because they failed to test them out thoroughly for celiac disease or non-celiac gluten sensitivity because they had no gut symptoms. There are lots of people being either misdiagnosed or not diagnosed at all. The second reason there is a wide variance is that celiac disease and non-celiac gluten sensitivity can be hard to diagnose from a testing perspective. False positives and negatives exist with any lab test. Gut specialists (gastroenterologists) will test a person’s blood for antibodies to peptides(proteins) called alpha-gliadin, transglutaminase-2, deamidated gliadin and endomysium. If any of these are positive they might do a biopsy to determine if there is tissue damage to the gut. If there is damage you would be diagnosed with celiac disease. If the tests are negative, however, the patient is told they don’t have gluten intolerance or celiac disease and that’s the end of the story. The best blood test to my knowledge, at the time of this writing, that test for all of these proteins and markers is the Cyrex Array 3 test. The gold standard to determine if you have gluten intolerance, however, is still eliminating gluten 100% from your diet for 14 to 90 days and then reintroducing it again to see if you react to it. Say what?! Are you kidding me?! The dietician says that wheat products are “KEY” in order to get nutrients like B-vitamins and iron and very important for fiber. She further says that you can become nutrient deficient if you go on a gluten-free diet. First and foremost, there are plenty more B-vitamins and iron in WHOLE REAL foods like red meat, organ meats, seafood, poultry, egg yolks, vegetables, legumes, and nuts and seeds. Second, fiber, which is important for gut health, should be obtained, again, from WHOLE REAL foods like vegetables, fruits, legumes, and nuts and seeds. You don’t have to rely on REFINED FAKE foods like wheat products to get your B-vitamins, iron, and fiber. So if you are eating a HEALTHY gluten-free diet, and as long as your gut is working properly to absorb these nutrients, you will be getting plenty of B-vitamins, iron, and fiber. You don’t need wheat in your diet to obtain important nutrients. You don’t need wheat in your diet to obtain important nutrients. While I would agree some of these gluten-free packaged foods may be higher in sugar and lower in fiber, eating packaged wheat products are also high in sugar and refined starchy carbohydrates. They’re also not the best source of fiber. In fact, the little nutrients that are available in wheat products are hard for humans to extract. Furthermore, the high sugar and refined starchy carbohydrate content in wheat products also make us feel less full, leading us to eating more calories. Weight gain results. Eating a HEALTHY gluten-free diet would, in most cases, lead to weight loss. 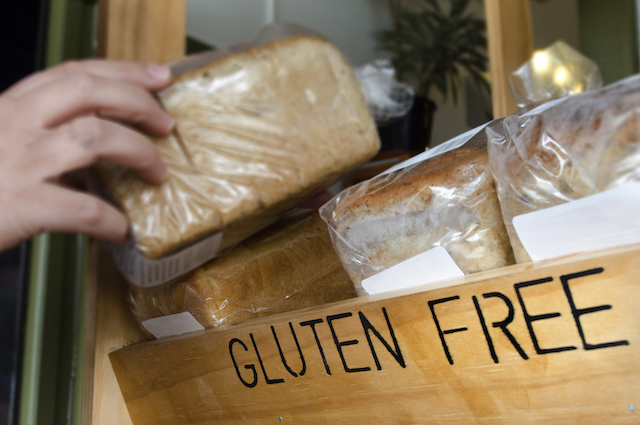 Are Gluten-Free packaged foods healthier than Refined flour/Wheat/Gluten packaged foods? Now that doesn’t mean these gluten-free packaged foods are healthy for you. They can be high in sugar and many have industrial seed or refined vegetable oils like canola oil in them which aren’t healthy for you. The dietician is right in saying people on a gluten-free diet feel better because they are eating healthier foods like fruits and vegetables. This is true. At least here, they are recognizing that people on a gluten-free diet are eating healthy fruits and vegetables as well. However, she fails to recognize that when you eliminate gluten you eliminate a toxic protein in your body. Gluten creates leaky gut in everybody and has the ability to create inflammation (swelling) throughout the body. This can lead to numerous symptoms and serious autoimmune diseases. So based on this fact alone, people are likely going to feel better just by eliminating gluten from their diet. I hope this article helped you understand what a gluten-free diet truly is and how serious celiac and non-celiac gluten sensitivity (gluten intolerance) can be. Although the gluten-free diet can be perceived as a trend, the good science that backs the reasoning for eating gluten-free is strong and is here to stay. Now I would like to hear from you. Have you tried eating gluten-free for an extended period of time? Did you notice some positive changes in your health? This article was very informative and helpful. You’ve answered a number of questions I’ve had regarding celiac and gluten intolerance / sensitivity. One question I do have tho — can gluten intolerance/sensitivity be indicated with a food allergy blood test?